The newest campus in the University of California system, UC Merced is a campus that attracts leaders — individuals who enjoy the challenge of paving the way for others to follow — and the Class of 2017 is no different. On May 13 and 14, the campus community will celebrate more than undergraduate and graduate students as they embark on their next adventures. For Aspen Fernando of Rocklin, the UC Merced advantage has been that nothing is off-limits. During his time at UC Merced, he has been president for four different organizations while working as a peer academic advisor. If he isn't leading his organizations or studying, he spends his time volunteering at the Mercy Medical Center emergency room. He’s graduating with bachelor’s degrees in biological sciences and economics, and plans to work in finance while preparing for admission to medical school. “I hope when people view me, they feel motivated to push themselves to be the better version of themselves,” he said. Mercy Maina, a political science major from Kenya by way of Sacramento, has been a leader almost from her first moment on campus. She is among the core groups of leaders who founded Afrikans for Retention & Outreach (AFRO), an organization dedicated to improving the retention and four-year graduation rates of black students enrolled at UC Merced. The group’s initiatives have been successful, leading to an increase in both areas over the past three years, she said. Psychology major Ruben Reyes of La Puente agrees. He’s spent his time at UC Merced investing in area youth through Merced County Project 10% and the Mariposa Merced Youth Impact Initiative. 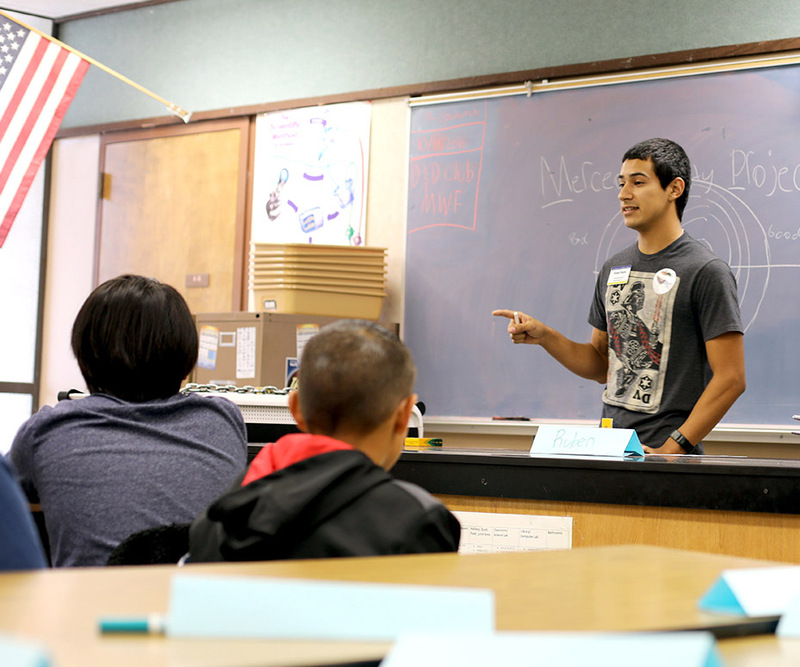 Both organizations partner UC Merced students as mentors to eighth-graders with the goal of increasing high school graduation rates and college eligibility rates. “When I was young, I didn't have that many role models or individuals who told me I could be someone or I could go to college and graduate,” he said. Additional profiles of graduating students are available on the Commencement website.